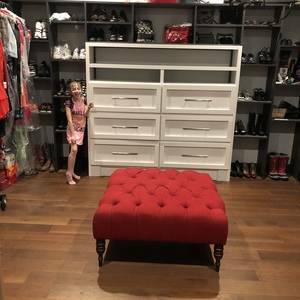 We built a new house and a custom master closet. I left a space open bc i wanted to build my own dresser to save some money. I ised shanty-2-chic pattern and modified it to fot my space.